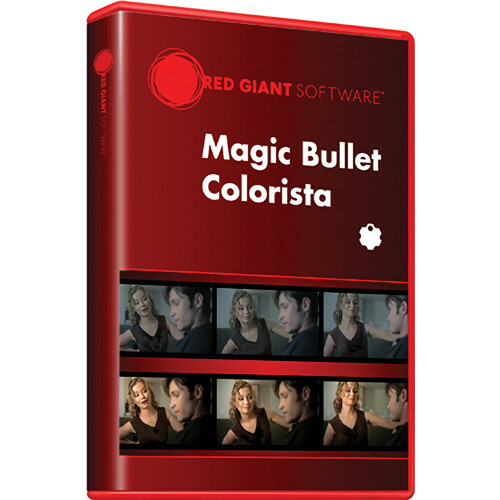 Red Giant Magic Bullet Colorista plug-in works with Adobe After Effects, Adobe Premiere Pro, Apple Final Cut Pro X, and Apple Motion on both Windows and OS X platforms. Colorista gives you a simple three-way color corrector, but does much more than that. HSL (hue, saturation, and luminance) wheels help you fine-tune to get the exact color and tone you want, while a keyer enables you isolate and adjust a specific color or color range without affecting the rest. New for version III, shadows and highlights can be adjusted by region. Of note for Creative Suite and Creative Cloud users, Colorista links with After Effects' integrated masking and tracking tools, enabling the application of secondary corrections to a moving target. Note: Your download provides you with the latest version of Colorista. Magic Bullet Colorista (Download) is rated 5.0 out of 5 by 1. Rated 5 out of 5 by Michael from Very powerful color tool Really great tool for color correction post production work for films. The best feature by far is the key which allows you to isolate certain parts of the image in the frame and only alter them, leaving the rest of the video intact. Highly recommend! The download from B&H was very easy too. Received a download code the following day after purchasing and was able to install it on my mac from Red Giant.